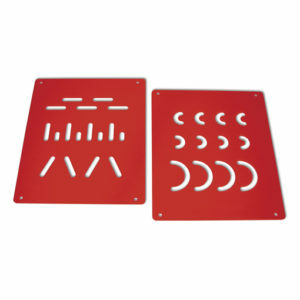 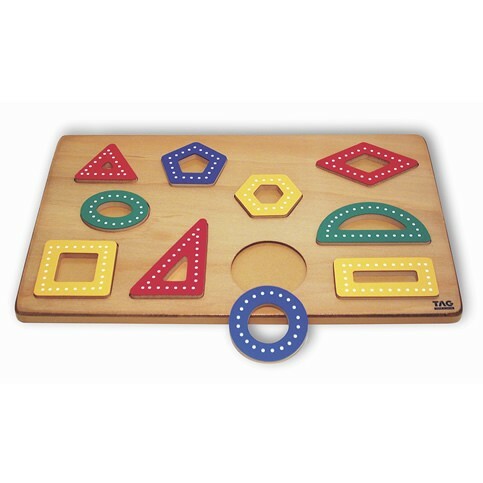 Giant shape puzzle with brightly colored pieces that are raised above the surface of the puzzle board for easy removal and fitting. 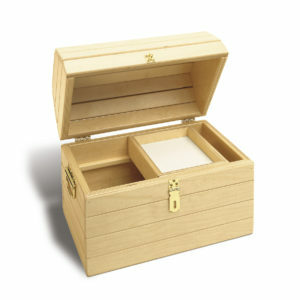 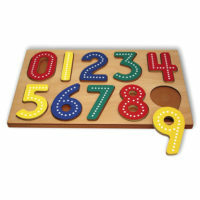 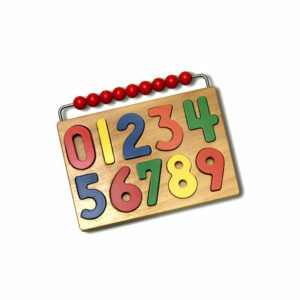 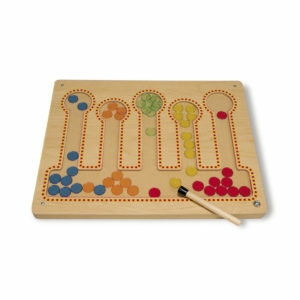 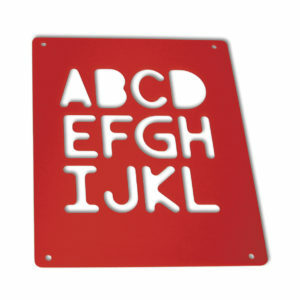 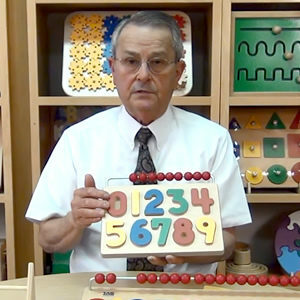 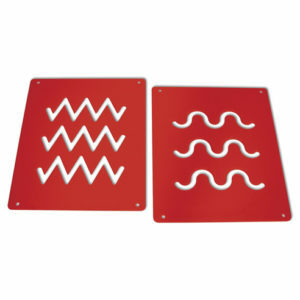 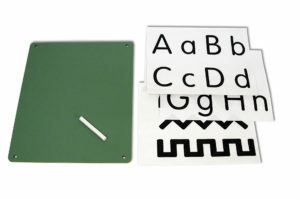 The surface of each number and shape is made of a durable plastic laminate that readily accepts chalk and erases easily. 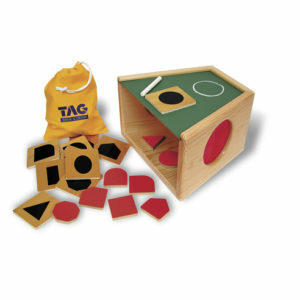 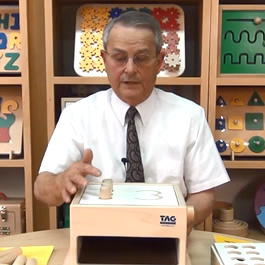 The child can trace the shapes with a finger and with chalk guided by the dot pattern – over and over again. 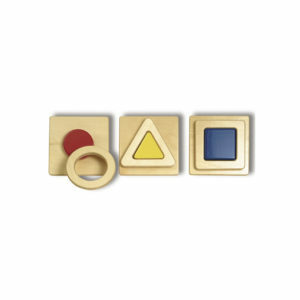 Introduces the shapes of 10 basic geometric forms. 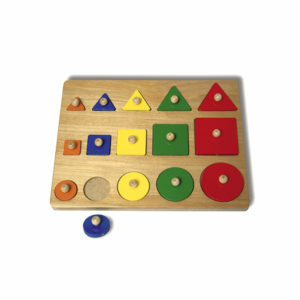 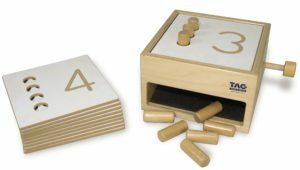 Provides an opportunity for a child to trace and form the shapes at a most basic, yet concrete level.